MedTech moves fast, and where are all the movers and shakers hanging out within our innovative industry? At MD&M West in Anaheim, California – the world’s largest annual MedTech event! It’s where you’ll find the industry’s foremost minds and expert partners who can help take concepts to market with cutting-edge technologies and sourcing solutions. 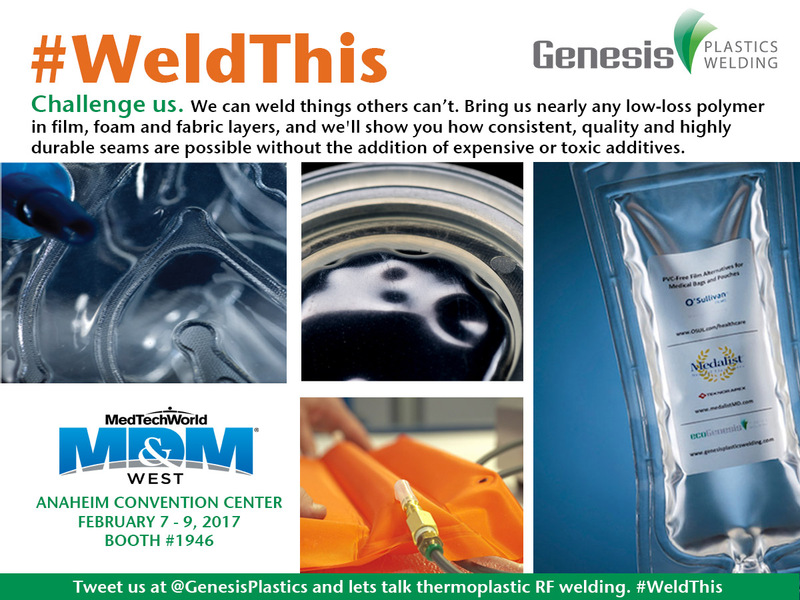 Moreover, it’s where you’ll find Genesis Plastics Welding February 7 – 9, 2017. It’s a show we look forward to each year – innovation around every corner, insightful keynote speakers and the chance to see many of our West Coast clients and industry partners on their turf. With 2000+ of the industry’s leading suppliers in attendance, you’ll be able to pinpoint sourcing solutions and witness live demos of key technologies (and at times technologies brand new to the market). With smart manufacturing redefining our industry and providing for unprecedented flexibility and efficiencies, be sure to keep an eye out for MedDevice game-changers like Genesis who are leading the way for medical contract manufacturing of the future. Make sure to check out this year’s speaker schedule and stop in for a few presentations by industry luminaires and deepen your knowledge on all things MedTech. And seeing all of you! Make sure to stop by booth 1946 and see all that is new at Genesis. I’ll be on-hand with Jason Spoolstra, our sales engineer, and we can wait to see what innovative devices and materials you bring our way this year for development and manufacturing. Tweet us before and during the show with hashtag #WeldThis and let us know what you’ll be bringing our way. Let the countdown begin! See you in 21 short days in sunny Anaheim!